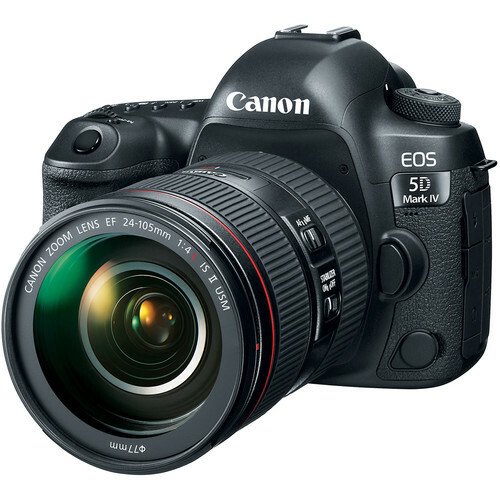 EOS 5D Mark IV DSLR Camera with 24-105mm f/4L II Lens is rated 4.8 out of 5 by 776. Is it possible to set the camera so that the AF point can be shifted without first having to press the AF Point Selection Button? Actually, yes it can. 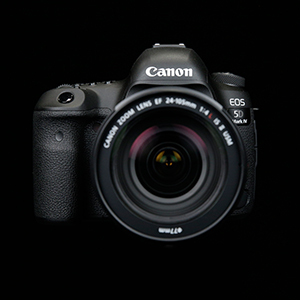 The 5D mark IV can be set up that the multi-controller can be used directly without first pressing the AF Point Selection button by changing the Custom Controls in the C.Fn 3 Menu. Will battery pack and flash from old F1work with this camera? Theoretically, it should work off the hot shoe. However, the battery, the cable and flash unit needs to be inspected for any damage from age. I would have a service technician look it over before use. the camera is for 4thousand dollars or pesos, I'm in Dominican Republic, we work with pesos, how many pixels this cam has and the differences between 3 and 4. Asked by: Haim Rafael P.
The pricing shown on our website is in US dollars. 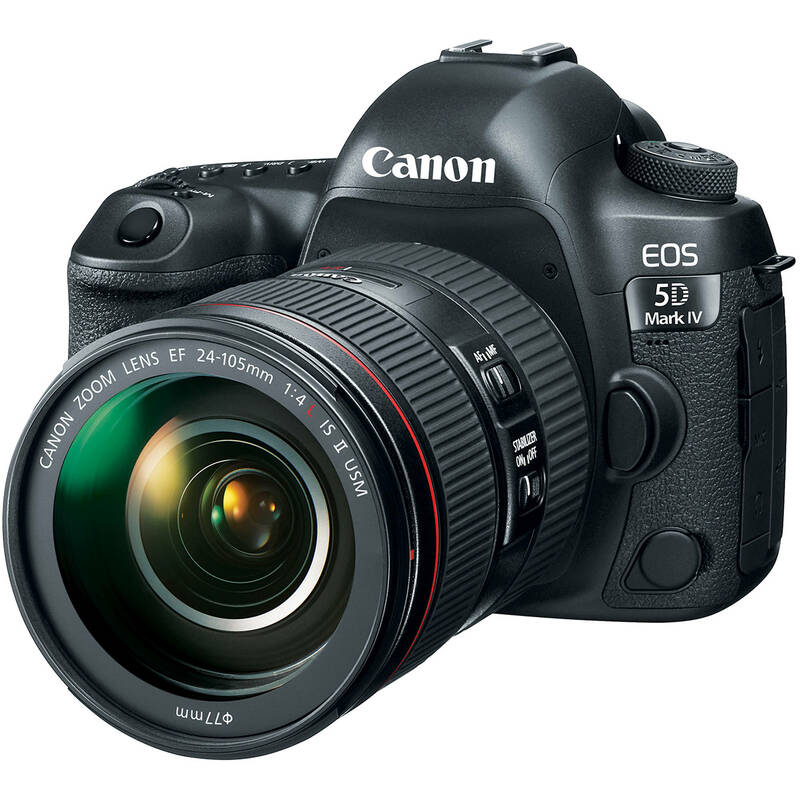 The 5D Mark IV has a 30.4 mp full frame sensor, a faster image processor and faster autofocus over the 5D Mark III. I would like to know if rear (2nd) curtain sync can be enabled on the newer Canon 5D mark IV for use with non Canon TTL strobes? The reason I ask this, is that Nikon still provides that ability in the DSLR line up, but Canon removed with it when they introduce their 5D mark II, which has been a minor issue with me as the stobes I use do not contain any dedicated Canon TTL capacity. Second-curtain synchronization is available with the 5D Mark IV.